You can spend a chunk of change on makeup brushes—but quality makeup brushes can make a big difference in how products perform. 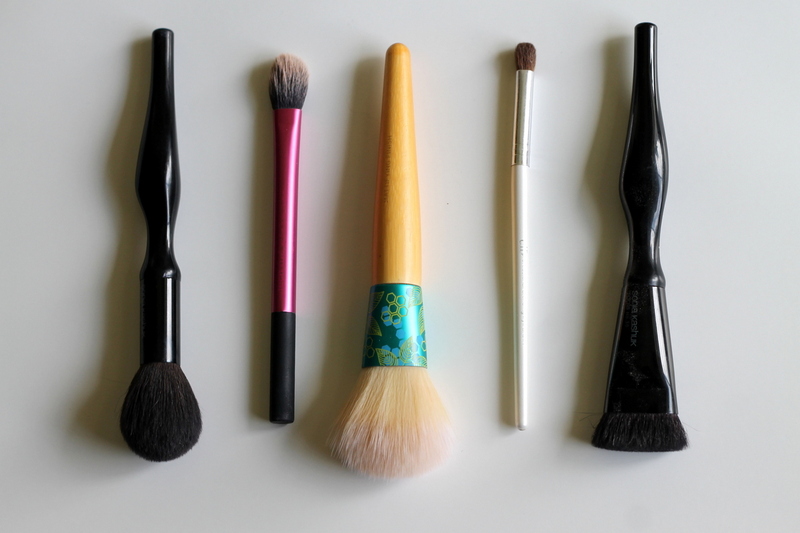 I've tried more makeup brushes than I can count: some duds and some great finds. I've rounded up the best and ones I use almost every day. These are all available at a drugstore and are less than $20. Sonia Kashuk Domed Blusher Brush: If I had to get rid of all my other blush brushes and only keep this one, I'd be set for life. This is my number-one brush recommendation to anyone who asks. Real Techniques Setting Brush: I have two of these: one for undereye concealer and one for undereye setting powder. Eco Tools Mattifying Finish CC Brush: I wouldn't recommend this for a liquid or cream product, but I love using this for setting powder. E.L.F. Blending Brush: This is the best eyeshadow brush at the drugstore, and it's crazy inexpensive. It blends shadow just as well as some of my higher-end brushes. Sonia Kashuk Contour Brush: If you've been wanting to try NARS' Ita brush for contouring, this is the next best thing at a fraction of the price. What brushes would you add to the mix? Let me know in the comments!